Welcome to the newcomers! 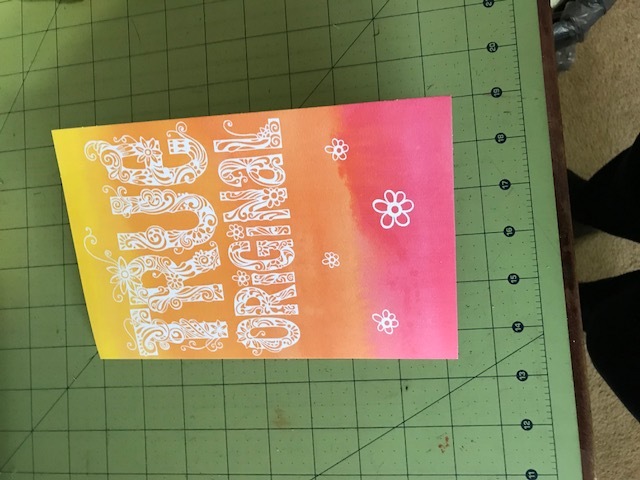 You are going to meet some great quilters in this swap. Have fun! fun! fun. No pre-washed is NOT required. but with that said some may be pre-washed. Mine are mostly scraps, mostly given to me and gathered through out the past year. So I don't know if they are. I just know I like them and would put them in my own quilt. (and am....I always cut a set or two just for me). well if we have "newbies" what are the returning ones called??? Oldies??? returners??? vetrans???? So all you "Knowbies" out there feel free to post some photos of the quilts & projects you have made with you little squares. *** we also call 2.5" squares ....candies. Just incase that every comes up! what kind of fabrics are best? I have several batik fat quarters that I think would make cute squares but don’t know if batiks are the best choice for this swap? can you use precut candies? I've swapped batiks before. And I have received precut candies. I'm okay and good with either! Thank you. Most of my fabrics are prewashed but I have some things that were given to me and i’m Just not sure about it. I would, like you, use them myself, but I wanted to be sure. I’ve already started cutting. It’s -20 degrees here, temperature, and sitting in the dining room cutting candies sounded like a nice project for today. My Labyrinth quilt is not going anywhere. And Sunday it’s supposed to be 54 degrees. Afternoon, everyone. Welcome to the newbies and the knowbies! Looks like we might be almost full already. I can always cut a few more sets if necessary. Been working on a block for a swap I’m in. It’s 40 degrees now, up from 20 this morning, so no complaints from me but it’s a nice day to be inside stitching something. Have a pleasant rest of your day. So great to see some familiar names - and a few new-to-me ones! It will be a fun group, to be sure. Sorry to see so many freezing places out there. Although our nights in AZ may go down to freezing, it warms up nicely during most days. We do have an occasional snow flurry but we don't own a snow shovel since moving here! I have about a dozen envelopes ready - and then got tired of counting and cutting! Thanks for all the kind welcomes from all the "knowbies"! I'm like GramE, it's brutally cold here in Michigan. We are in a State of Emergency and hardly anything is open. Luckily the Heating repair men are working because we woke up this morning to a house at 60 degrees and dropping. It get to 56 degrees before the repairman came. Currently it feels like -32 outside! So most of my day was spent bundled up under two quilts and a heated cherry pit bag which I made for Christmas gifts this year. My house now is up to 67 degrees and I am ready to have some snow day fun at the sewing machine! Stay warm friends! Do you try to make each packet unique for each persons requests? Like color requests? Or dislikes? I see that some already have packets made up, so I was wondering how that worked. Gram E, I only know what I do and that is make 37 or 38 sets of 50 that are all the same or nearly all the same. I would not recommend trying to meet individual preferences it is too complicated. Oh, if I know someone "LOVES" pink, I might stick an extra square or two of pink in the set. This swap is meant to be fun, simple and for me to whittle down my stash. Yeah, I know I get back as many as I sent but.... I don't have to cut them and it is just so much fun looking at all 1800 or so little birthday surprises. I will dig out some photos of quilts I have made over the past few years with my little candies. I'll post them another time. Thank you. I was wondering today as I was cutting, what would 1,850 2 1/2” squares make. I’m hand sew a lot so the idea that my portable stash will be increasing is good news. I agree, trying to keep a list of everyone’s preferences might be a bit daunting, especially for a newbie. ps I cut a lot today it seems, but not much whittled away! Last edited by GramE; 01-30-2019 at 07:16 PM. I cut all my squares and wrap them in plastic wrap and place them in a birthday card. I lay all my squares on a piece of card stock the same size as the birthday cards and then wrap them. I purchase my cards from the dollar tree. They have great cards. This is just one idea, everybody does what works for them. Are batiks okay for the candy swaps or should they all be 100% cotton. Batiks are great, I try to include the batiks with my candy's that I send. I'm doing my candies different this year. In the past, I filled how many birthday cards the same and kept one for myself. This year I am filling 10 or 12 at a time. That should allow me to send different fabrics. I'm sorry to hear about such cold temps. When we got up this morning it was 6 degrees, but thankfully the house was warm. Queen, I believe all candy squares should be 100 percent cotton, including the batiks. I’m cutting batiks right now, thinking of doing half batiks, half regular quilting cottons. PamelaOry, I am sure that if you have batiks to share with us, that we will love those additions to our scrappy quilts. Do people ever put extra goodies in the packages? So far tonight I have cut enough for 6 sets of birthday candies. I have a good start so far. PamelaOry- little surprises have been known to show up; sometimes in the form of a special fussy-cut charm, lovely greetings or whatnot. Since the group uses lots of fabric and postage, it is at a minimum. What is the average postage? I’m used to the 7, now 8 dollar flat rate envelopes but assumed these would be much smaller to send and would cost less as a result. Pamela- You bet postage is less than $7 or $8! In this swap on the 20th of each month, for 12 months, you will get a message from BarbK with the birth dates and names and addresses for the upcoming month. Then, as shown on the picture above, you will prepare a birthday greeting with candies for each birthday celebrant individually. The postage on these will vary from $0.70 cents to $2.55, depending on the weight and size of the envelope. Thicker envelopes are treated as a first class package. 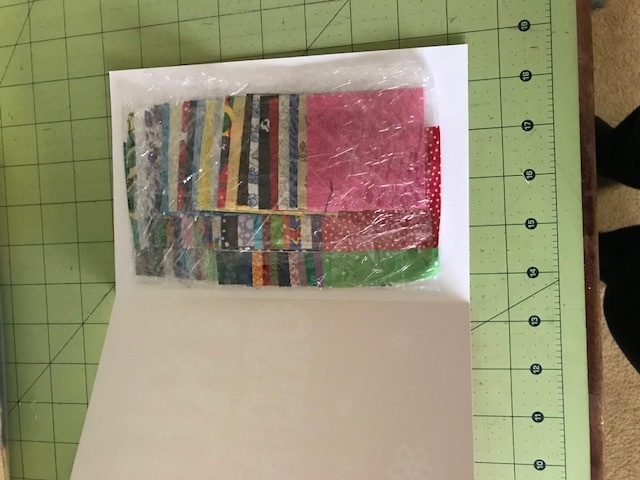 Since there are 30+ birthdays, many in the group have perfected the technique to get the thinnest, lightest envelope for mailing.